Bidjar design Indian handmade rug in fine quality wool. Colors are neutral and its easy to match it with any contemporary style decor. - Smooth tones and neutral colors, this handmade pure New Zealand wool rug is ideal for a contemporary style decor. - It is double weft and is conducive for a high traffic area due to its strong weave and tenacity. - The design of this rug has been originated from a late 19th century in the Northern region of Persia. - Main colors of this rug are cream and ivory with tinges of rust on the border. 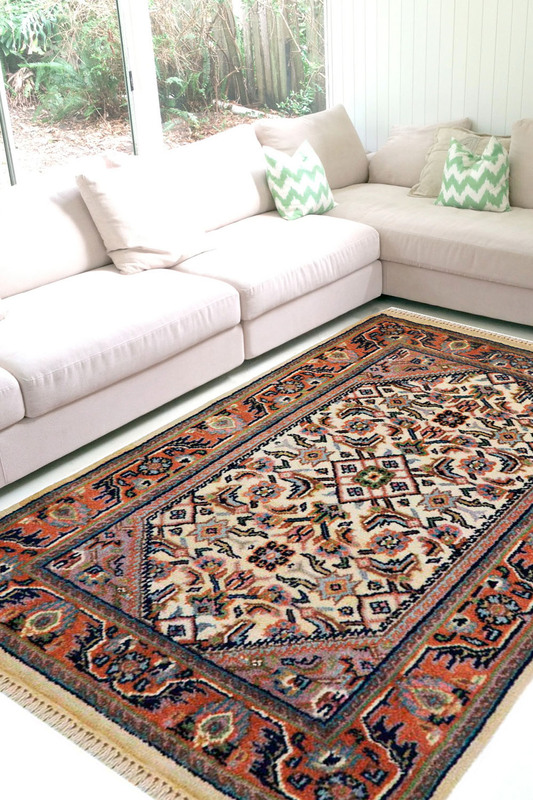 - Rugsandbeyond's recommendation is to use this rug as an entrance rug or as a bed side.